Cut the watermelon and remove its seeds. In a blender, add the cubed watermelon, lemon juice and sugar and blend it to a smooth mixture. 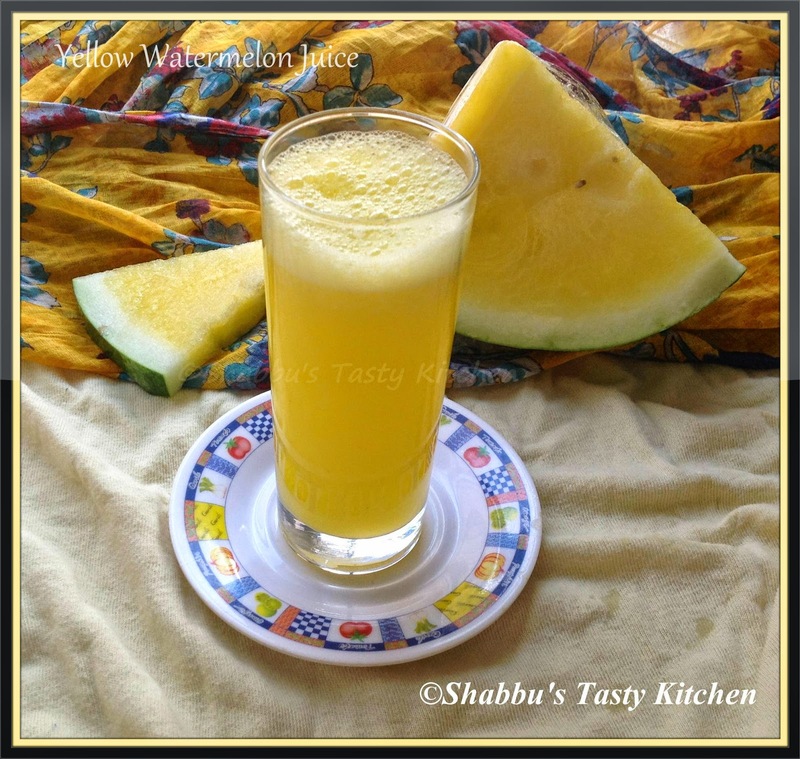 wow tempting juice with yellow watermelon :) looks yumm !! I have never seen yellow watermelon! I need to find some!